Whether its girl's night or the big game, its easy to bring people together with this welcoming pub table. Prepping food before your event is a breeze with the spacious table top. During the event, friends can mix and mingle around the counter height table. Storage in the base provides a handy place to keep dinnerware and serving dishes. 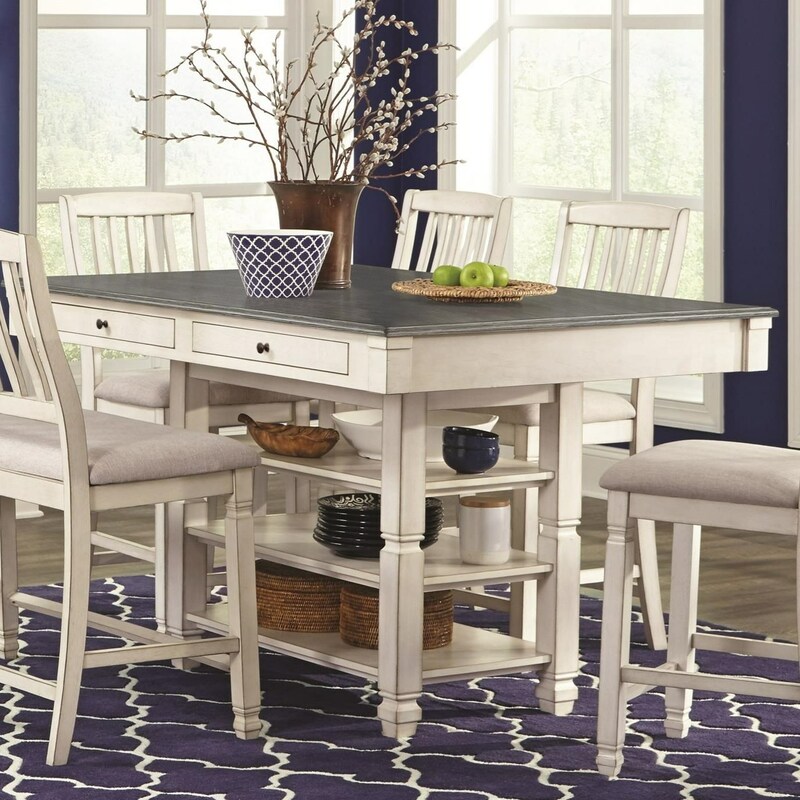 Features farmhouse-inspired styling and a two-tone gray and milk white finish. The Crafton Two Tone Pub Table by Lifestyle at Royal Furniture in the Memphis, Nashville, Jackson, Birmingham area. Product availability may vary. Contact us for the most current availability on this product.